After you have created and configured your form you can install it into your Squarespace site in just a few steps. 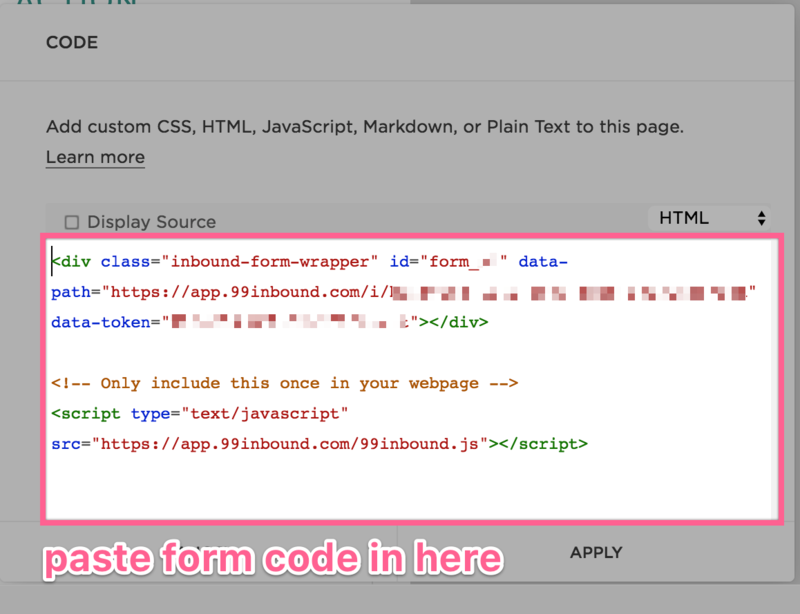 We recommend using 99Inbound’s ‘styled’ forms for embedding in Squarespace sites. 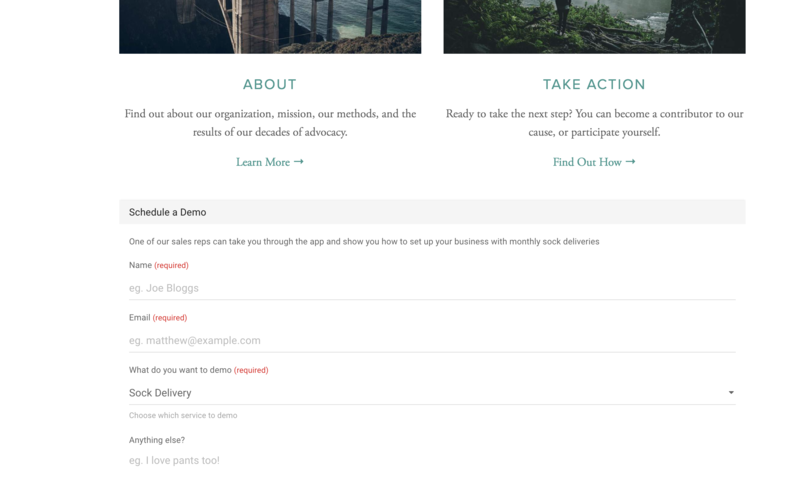 Forms are easy to embed as Squarespace provides a code content type that you can use directly. Sign in to your Squarespace account and navigate to the page you want to add your form onto, click a content section then click EDIT. Next, click the + button at the top right of the content section to add new content, then select the code content block. This will open a text input box. Paste your form code into this box. That’s it! You’re finished. Save the page and navigate to your live website to see the form in action. Note that when you add the code to your page it is not shown in the page editor. Instead the editor shows a little placeholder. While this includes a button called Preview in Safe mode, clicking this doesn’t really work properly and will show a cut-off view of your form. Don’t worry, this is not what the live version of your form looks like. Save your changes and navigate to your live website to see the form in its full glory.